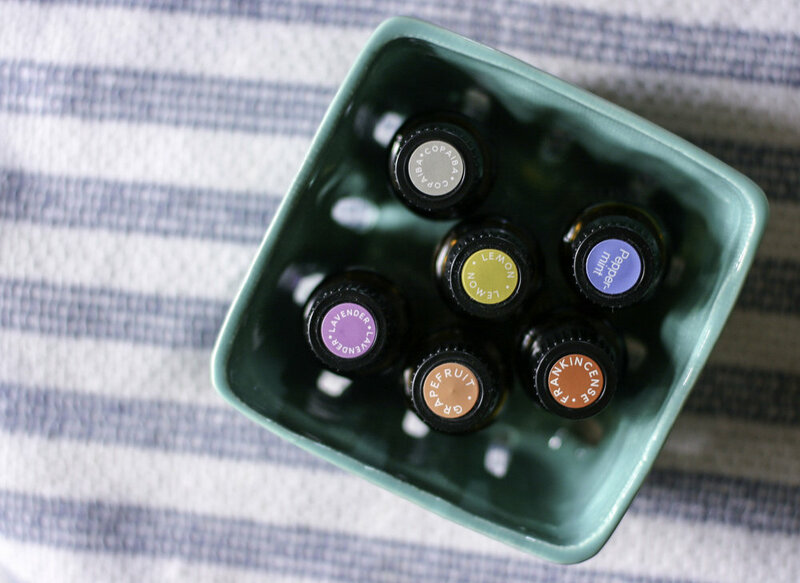 Our Daily Family Essential Oil Routines. Essential Oils have become a big part of our family life over here. Almost two years ago I started using them here and there, and progressively discovered different ways I could incorporate them more and more. 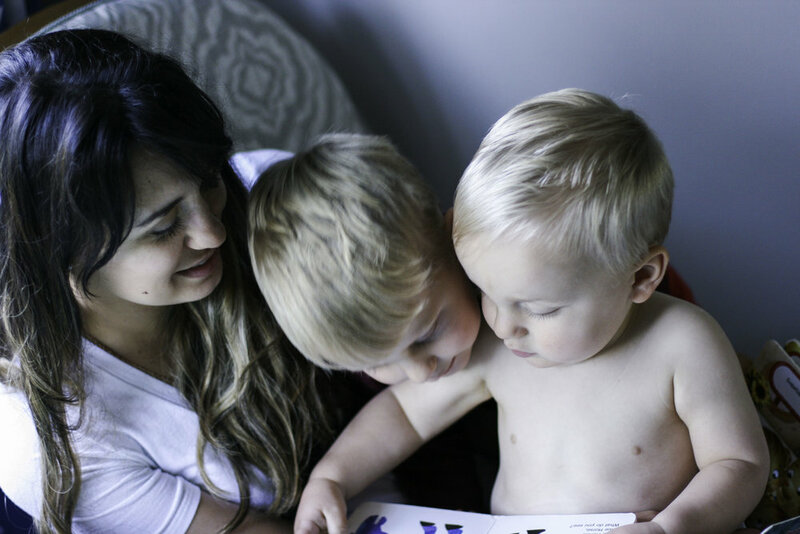 What began with purchasing a simple starter kit (to have on-hand for my labor and delivery with Daxton!) has grown into a full-blown lifestyle for our family and I am so grateful! I love having so many safe alternatives for allergies, viruses, anxiety, rest management, energy support, immune defense and more! 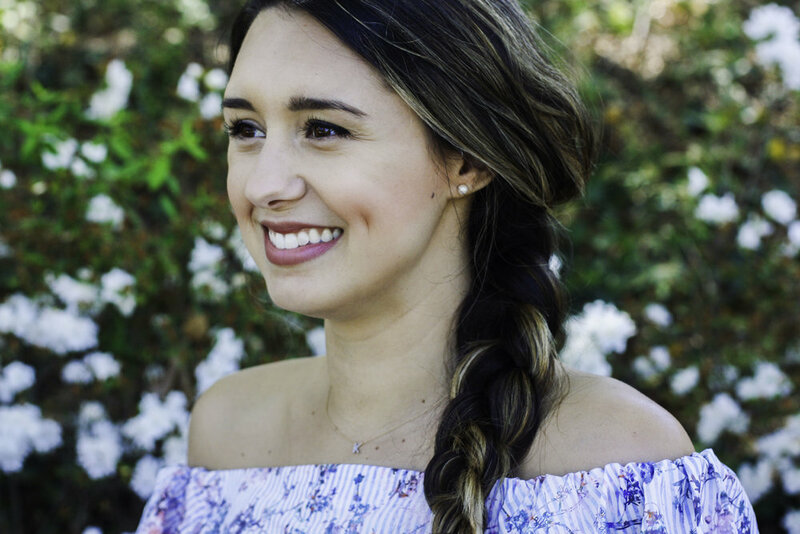 I've shared about oils here and there but I wanted to give you a specific outline of how and why my family uses essential oils throughout the day to support our health and wellness. 1. Diffuse in the AM! I diffuse something every morning once I get my kiddos downstairs and begin our breakfast routine. I like to diffuse something bright and cheerful, like an energizing blend of citrus oils (Elevation and Citrus Bliss are some of my favorites!) Because of pollen season, I've been diffusing a equal blend of Peppermint, Lavender and Lemon (this trio is available here!) a lot lately. I have also been loving DoTERRA's Yoga Collection, which is composed of 3 killer good oils called Arise, Align & Anchor and these three are all so grand and make me feel super happy for the day. I also take this opportunity to add 1-2 drops of a citrus oil to my first glass of water in the morning. Why? Drinking water with citrus helps detoxify the body, ridding it of chemicals and helping to balance the pH levels. Lately I've been on a kick with Grapefruit oil, but I also love Lemon & Tangerine oils. They're all good! Usually right before my boys wake up from their nap, I try to flip a load of laundry. That's gotta get done at some point, right? !I learned a few years ago about how toxic dryer sheets are (I'm talking about the potential cause of migraines, asthma, allergies, rashes - the list goes on and on!) because of the chemicals in them. It's not a myth, simply google "are dryer sheets toxic" to find a slew of research on the subject. Gross! I prefer not to serve my children a chemical cocktail every time I bring their folded laundry into their bedrooms. So I use wool dryer balls instead (found on Amazon! ), which are less expensive and a completely toxic-free way to fluff laundry. I like to add a few drops of my Lemon essential oil to my dryer balls so that my laundry has a fresh, clean scent. 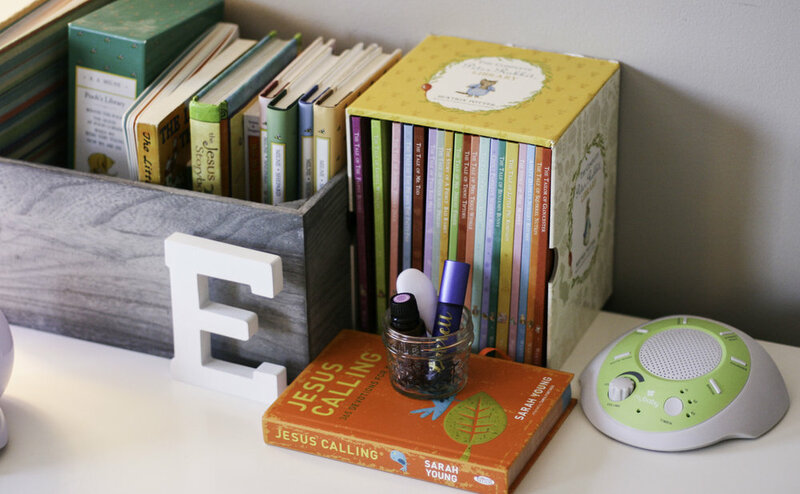 I like to use my essential oils to help my kids wind down at night and help get to sleep and stay asleep (can I get an amen, mamas?) I do this first by adding a drop of Lavender essential oil into their nighttime bath. This helps them calm down and get into a restful mode - more cuddly and sleepy and less, you know, about wrestling. Next I make sure to diffuse Serenity in their bedrooms, which is a beautiful blend that has so many delicious sleepy-restful oils in it! I have little diffusers in all our bedrooms so we can all get the benefit of nighttime diffusion. I got several of these on Amazon and they have held up pretty darn well (plus, this diffuser has a color-changing nightlight, so it's a big hit with the boys!) I have noticed a marked difference when I diffuse this in my boys' rooms - they fall asleep easily and don't wake up. If you're a mom, I'm sure you've experienced your toddler coming out of their bedroom 10+ times a night "needing" water, "needing" to go to the potty, "needing" to snuggle (when they actually just want to see what you're watching on Netflix - or is this only my child??) When I remember to diffuse Serenity, this doesn't happen! After the boys are in bed and Stevie and I have had dinner and relaxed a bit, it's time for lights out! I love to get something going in the diffuser while I'm getting ready for bed, so that when I actually settle in, the oil has had a few minutes to diffuse and fill the room with a comforting scent. My absolute favorites are Serenity, Forgive and Breathe. These oils smell SO good and are super relaxing. 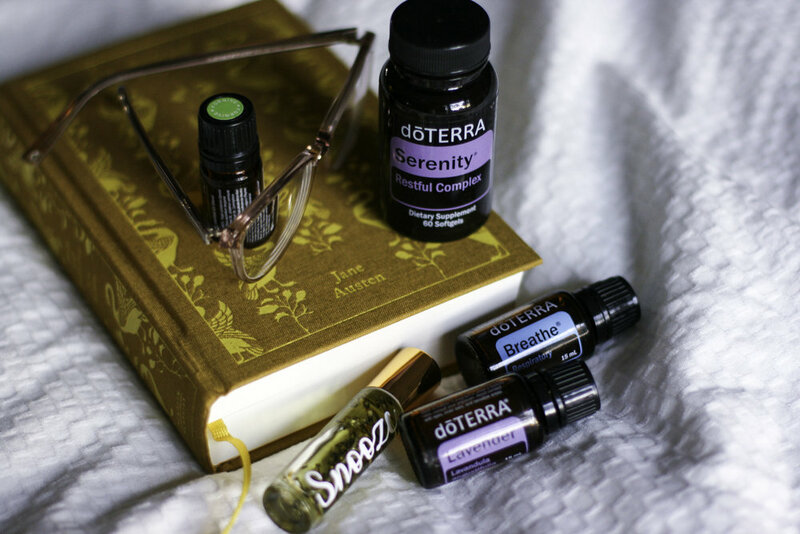 If I am super sleepy and really need to get some serious rest, I will pop a few of the Serenity supplements, which are a natural rest complex and let me just say - THEY WORK. You wake up feeling super rested and satisfied with your sleep! P.S. - I've been re-reading Pride & Prejudice as my pre-bedtime book and I miiiiiiiight have made a specific rollerball blend inspired by the book. It may or may not be called "Most Ardently" and it may or may not be so freaking good, you guys. Not to brag or anything but I like to think of it as the essence of Elizabeth Bennett. Okay, bookworm moment over. Let's have a giveaway, shall we? Gosh I love giving away presents to you people. Do you have any questions about this daily routine with essential oils? Let me know in the comments how you use your oils or if you are willing to try something you read about here! Hook me up with oils!